Its U.S. Navy components are aligned with Naval Meteorology and Oceanography Command. 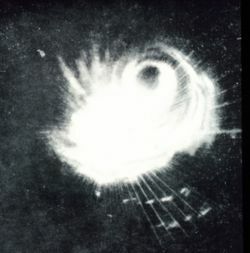 The origins of the Joint Typhoon Warning Center (JTWC) can be traced back to June 1945, when the Fleet Weather Center/Typhoon Tracking Center was established on the island of Guam, after multiple typhoons, including Typhoon Cobra of December 1944 and June 1945, had caused a significant loss of men and ships. At this time the centre was one of three Navy and two Air Force units responsible for tropical cyclone reconnaissance and warnings in the Pacific. Over the next few years the coordination of tropical warnings between the centres was at times difficult or impossible due to various communication problems. During 1958, the United States Department of Defense weather services and the Weather Bureau formed the Joint Meteorology Committee to the Pacific Command and proposed the formation of a joint Navy and Air Force center for typhoon analysis and forecasting. A committee was subsequently set up to study the issue which issued a report during January 1959, which gave recommendation that the center be set up. Based on the report and the conclusions reached at the March 1959 Annual Tropical Cyclone Conference, the Joint Meteorology Committee formally urged, The Commander in Chief, US Pacific Command (CINCPAC) to establish a Joint Typhoon Warning Center. The CINCPAC subsequently petitioned the Joint Chiefs of Staff, who gave permission for the centre to be set up effective May 1, 1959, under the command of the Fleet Weather Center's commander. The JTWC initially consisted of ten people with two officers and three enlisted personnel provided by each service. It was required to provide warnings on all tropical cyclones, between the Malay Peninsular and the International Dateline for US government agencies. They also had to determine reconnaissance requirements, prepare annual typhoon summaries, and conduct research into tropical cyclone forecasting and detection. In November 1962, Typhoon Karen destroyed the building housing the Fleet Weather Center/Joint Typhoon Warning Center. It relocated in a more typhoon-proof building in 1965. Between 1971 and 1976, CINCPAC gradually expanded out the JTWC's area of responsibility, to include the area between the International Dateline and the African coasts. In October 1978, the Fleet Weather Center/JTWC became the Navy Oceanographic Command Center/Joint Typhoon Warning Center and responsible for the whole oceanic environment, from the bottom of the ocean to the top of the atmosphere. The JTWC subsequently started issuing warnings for the Southern Hemisphere between the African coast and the International Dateline during October 1980. It was relocated to Pearl Harbor on January 1, 1999 due to the 1995 Base Realignment and Closure Commission round. During October 2011, the JTWC's name changed from the “Naval Maritime Forecast Center/Joint Typhoon Warning Center” to just the Joint Typhoon Warning Center, as it became a stand-alone command for the first time in its 52-year history. A more modernized method for forecasting tropical cyclones had become apparent by the 1980s. Prior to the development of ATCF, the tools used by the Department of Defense to forecast tropical cyclone track were acetate, grease pencils, and disparate computer programs. The ATCF software was developed by the Naval Research Laboratory for the JTWC beginning in 1986, and used since 1988. It was adapted for use at the National Hurricane Center (NHC) in 1990. JTWC adheres to the World Meteorological Organization's (WMO) rules for storm names and adheres to acknowledged guidelines for intensity of tropical cyclones and tropical storms, with the exception of using the U.S. standard of measuring sustained winds for 1-min instead of the 10-min span recommended by the WMO (see Saffir-Simpson Hurricane Scale). The JTWC is not one of the WMO designated Regional Specialized Meteorological Centres, nor one of its Tropical cyclone warning centres, as its main mission is to support the United States government agencies. JTWC monitors, analyzes, and forecasts tropical cyclone formation, development, and movement year round. Its area of responsibility covers 89% of the world's tropical cyclone activity. The Center is manned by about 37 U.S. Air Force and Navy personnel. The JTWC uses several satellite systems and sensors, radar, surface and upper level synoptic data as well as atmospheric models to complete its mission. ^ Annual Tropcial Cyclone Report 2015 (PDF) (Report). United States Joint Typhoon Warning Center. Archived from the original (PDF) on August 16, 2016. Retrieved July 11, 2016. ^ a b Joint Typhoon Warning Center. "Joint Typhoon Warning Center Mission Statement". Archived from the original on August 12, 2009. Retrieved July 17, 2013. ^ a b c d Joint Typhoon Warning Center 50th Anniversary May 1959 – May 2009. April 29, 2009. Retrieved November 14, 2014. ^ Anstett, Richard (April 30, 1998). "World War II Era". History of the Joint Typhoon Warning Center up to 1998. Archived from the original on June 7, 2014. Retrieved November 14, 2014. ^ a b c d Fleet Weather Central; Joint Typhoon Warning Center. Annual Typhoon Report: 1959 (PDF) (Report). United States Navy, United States Air Force. pp. 4–6. Retrieved November 14, 2014. ^ a b c d Anstett, Richard (April 30, 1998). "JTWC Formation, 1958-1959". History of the Joint Typhoon Warning Center up to 1998. Archived from the original on November 14, 2014. Retrieved November 14, 2014. ^ Richard Anstett. JTWC Formation, 1958-1959. Archived 2014-11-14 at WebCite Retrieved on 2006-12-10. ^ a b Anslett, Richard A (April 30, 1998). "Realignment, Renaming And Relocating". History of the Joint Typhoon Warning Center up to 1998. Archived from the original on July 31, 2012. Retrieved November 14, 2014. ^ a b Ronald J. Miller; Ann J. Schrader; Charles R. Sampson; Ted L. Tsui (December 1990). "The Automated Tropical Cyclone Forecasting System (ATCF)". Weather and Forecasting. American Meteorological Society. 5: 653–660. Bibcode:1990WtFor...5..653M. doi:10.1175/1520-0434(1990)005<0653:TATCFS>2.0.CO;2. ^ Charles R. Sampson; Ann J. Schrader (June 2000). "The Automated Tropical Cyclone Forecasting System (Version 3.2)". Bulletin of the American Meteorological Society. American Meteorological Society. 81 (6): 1231–1240. Bibcode:2000BAMS...81.1231S. doi:10.1175/1520-0477(2000)081<1231:tatcfs>2.3.co;2. ^ Joint Typhoon Warning Center Product Notice at bottom of webpage. "Joint Typhoon Warning Center". Retrieved July 17, 2015. ^ Joint Typhoon Warning Center. "Joint Typhoon Warning Center Frequently Asked Questions". Retrieved July 17, 2013. ^ Freeman, Bob (November 13, 2009). "Joint Typhoon Warning Center Marks 50 Years of Service". U.S. Department of Defense. Archived from the original on July 13, 2013. Retrieved July 17, 2013. ^ Annual Tropical Cyclone Report 2013 (PDF) (Report). Pearl Harbor, Hawaii: Joint Typhoon Warning Center. 2014. p. 5.